Oh my gosh this is the best trailer I seen. I am totally going to see this! It looks brilliant, can’t wait to see Spider-Man Homecoming as well! I really think they did a good job on choosing this Spider-Man actor and story. After Cap3: Civil War, I am excited for a spiderman movie again. The last 2, with Garfield, just didn’t do it for me. I didn’t dislike them, but they make me excited. Anytime Holland says casual lines like “Hey guys” and “Are there any trials to becoming an Avenger?” it’s just so good. What really impresses me is that they seem to be nailing the perfect balance between geeky and cocky, something that both the previous on-screen Spider-men didn’t find. That and the idea of earning the high tech suit back gives this movie a clear direction without telling us too much. I am actually excited to see a Spiderman movie! I liked the Tobey Spiderman, but since then, no thanks. Civil War worked his introduction in well, plus I love Marisa Tomei’s Aunt May! Looking forward to Homecoming. What are your thoughts on Sony’s plans to establish a Spidey-less spin-off universe with the announcement of the Venom film? Also, did you hear the rumours that Spidey may no longer be part of the MCU after the Homecoming sequel, as Marvel’s deal with Sony actually expires after that? I’m really looking forward to Spider-Man Homecoming as well, should be great! I’m not so sure about the Spidey-less spin-off Venom film ect, as for Spider-Man’s future in the MCU, well I think that will all depend on how Spider-Man Homecoming performs at the box office. If it does well I’m sure Marvel and Sony will want to work out a new arrangement perhaps? I just can’t see Venom working on its own without any connection to Spider-Man. 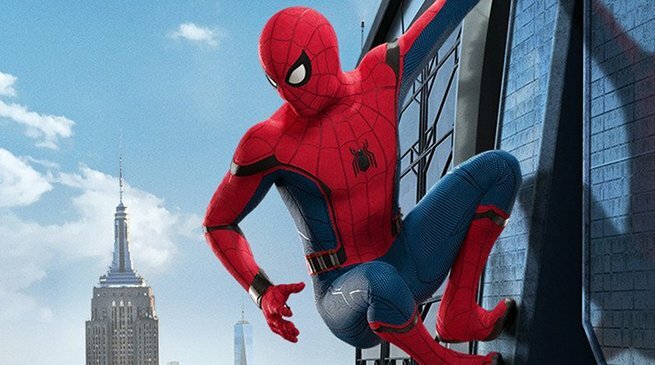 I’m optimistic that Sony and Marvel will look to continue working together, it would be rather strange and disrespectful to the audience to have Spidey in the MCU only to have him disappear without explanation! I’m sure Spidey will remain a part of the MCU, it would seen odd without him around now. I agree, not to sure about a Venom film working well on its own.